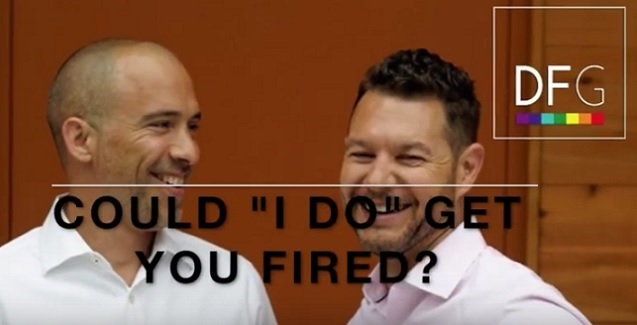 Stonewall Gazette: Could Saying "I Do" on Saturday Get You Fired on Monday? Could Saying "I Do" on Saturday Get You Fired on Monday? Saying, "I do," is a dream for many gay men BUT when it comes to the financial aspects you may need to exercise caution. Did you know that in 28 states you could get fired for being openly gay? David Auten and John Schneider are The Debt Free Guys and their mission is to help give people a money conscious blueprint. In this useful video they discuss the importance of knowing your legal rights.